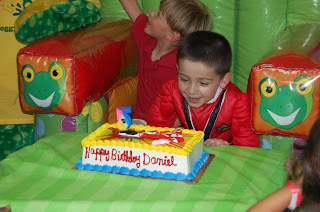 Today we attended Danny's 5th birthday party, which took place at Froggy's Playhouse in Pembroke Pines. Danny is the son of my good friend Jessica, who is expecting her 2nd baby this year, we were so happy to spend some time with her wonderful family! 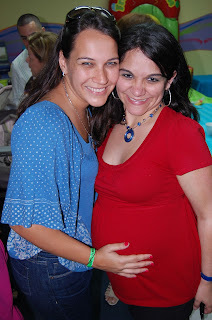 The girls had an amazing time bouncing up and down and eating pizza and cupcakes... It was such a great party! Happy Birthday, Danny! We hope you had a blast!